TLJ Daily E-Mail Alert No. 1,903, February 24, 2009. February 24, 2009, Alert No. 1,903. 2/23. The Supreme Court denied certiorari in FTC v. Rambus, a case regarding patents and the standards setting process. See, Orders List [28 pages in PDF] at page 5. This lets stand the April 22, 2008, opinion [24 pages in PDF] of the U.S. Court of Appeals (DCCir). This is an antitrust matter regarding Rambus's participation in the JEDEC standards setting process (which set technical standards for a form of computer memory known as synchronous dynamic random access memory or SDRAM) and subsequent assertion of patent rights. On June 19, 2002, the FTC initiated an administrative proceeding against Rambus. See, story titled "FTC Files Administrative Complaint Against Rambus" in TLJ Daily E-Mail Alert No. 455, June 20, 2002. The FTC concluded in its August 2, 2006, opinion [120 pages in PDF] that "Rambus's acts of deception constituted exclusionary conduct under Section 2 of the Sherman Act, and that Rambus unlawfully monopolized the markets for four technologies incorporated into the JEDEC standards in violation of Section 5 of the FTC Act." See, story titled "FTC Holds That Rambus Unlawfully Monopolized Markets" in TLJ Daily E-Mail Alert No. 1,427, August 8, 2006. Section 5 of the Federal Trade Commission Act, which is codified at 15 U.S.C. § 45, provides in part that "Unfair methods of competition in or affecting commerce, and unfair or deceptive acts or practices in or affecting commerce, are hereby declared unlawful." Rambus then petitioned the Court of Appeals for review of the FTC's order. The Court of Appeals set aside the order. For a summary of the Court of Appeals' opinion, and other precedent regarding standards setting, see story titled "Court of Appeals Rules in Rambus v. FTC" in TLJ Daily E-Mail Alert No. 1,752, April 23, 2008. The FTC unsuccessfully sought en banc review, and then petitioned the Supreme Court for writ of certiorari. And now, the Supreme Court has denied that petition. This leaves the FTC's efforts to apply consumer protection and competition law principles to patents and the standards setting process in a state of disarray. Tom Lavelle, SVP and General Counsel for Rambus, stated in a release that "Eleven DC Circuit judges examined the FTC's case, and not one supported it in any way. The Solicitor General did not support the FTC's petition for certiorari, and now the Supreme Court has denied its petition ... After enduring years of lost business, uncertainty, and spending millions of dollars defending ourselves against the FTC’s ill-founded allegations, we're pleased the Supreme Court has put an end to these claims." This case is FTC v. Rambus, Supreme Court of the United States, Sup. Ct. No. 08-694, a petition for writ of certiorari to the U.S. Court of Appeals for the District of Columbia, App. Ct. Nos. 07-1086 and 07-1124. 2/23. President Obama has not yet announced his selection for Chairman of the Federal Trade Commission (FTC). However, some news media have reported that he is likely to name current FTC Commissioner Jonathan Leibowitz. The FTC is one of the three main antitrust agencies in the federal government. The Department of Justice's Antitrust Division, and the Federal Communications Commission (FCC), are the other two. The FTC also possesses broad civil statutory authority to protect consumers, especially under Section 5 of the FTC Act, which is codified at 15 U.S.C. § 45. It provides that "Unfair methods of competition in or affecting commerce, and unfair or deceptive acts or practices in or affecting commerce, are hereby declared unlawful." Leibowitz (at right) has been an FTC Commissioner since 2004. From 2000 through 2004, he was a lobbyist for the Motion Picture Association of America (MPAA). Before that, he was a long time staff assistant to Sen. Herb Kohl (D-WI). He held various positions with the Senate Judiciary Committee's (SJC) Subcommittee on Antitrust. He is married to Ruth Marcus, an editorial writer for the Washington Post. Ed Black, head of the Computer & Communications Industry Association (CCIA), praised Leibowitz's experience, "knowledge of high-tech and Internet issues", and his views on applying antitrust law to the tech sector. Black stated in a release that "The FTC's recent decision to investigate Intel's anticompetitive practices was a step in the right direction for the agency. Under Leibowitz's lead, we expect this investigation to proceed fairly and hope that the new chairman uses his position to investigate similar anticompetitive abuses by other companies, such as IBM's practices in the mainframe market. Furthermore, we hope to see the FTC continue its leadership on other policy areas especially important to the high-tech industry, including standard-setting and digital rights management abuse." Patents and Standards Setting Processes. The FTC has attempted to apply both Section 5 of the FTC Act and the Sherman Act to conduct by companies involved in standards setting processes. This is currently a significant issue in the technology sector. However, the FTC's efforts have been disrupted by the U.S. Court of Appeals (DCCir). See, story titled "Court of Appeals Rules in Rambus v. FTC" in TLJ Daily E-Mail Alert No. 1,752, April 23, 2008. The FTC found in its Rambus administrative action that Rambus violated both Section 2 of the Sherman Act and Section 5 of the FTC Act. See, story titled "FTC Holds That Rambus Unlawfully Monopolized Markets" in TLJ Daily E-Mail Alert No. 1,427, August 8, 2006. Leibowitz wrote a concurring opinion [21 pages in PDF] to the FTC's Rambus decision in which he argued for application of Section 5 to some types cases sometimes thought of only as Sherman or Clayton Act matters. Section 5 of the FTC Act reaches "unfair or deceptive" practices that harm consumers. However, Leibowitz pointed out that this section also contains the phrase "unfair method of competition". He argued that "deceitful conduct has fallen within Section 5's province for its effects on competition, as well as on consumers. Innovation -- clearly at issue in this case -- is indisputably a matter of critical antitrust interest." He argued that the FTC "should place greater emphasis on developing the full range of its jurisdiction and making it more clear to the bar, the public, the business community, and potential antitrust malefactors what Section 5 embraces and what it does not. Although the Commission has not left fallow its Section 5 jurisdiction to challenge conduct outside the antitrust laws, neither has the Agency fully exercised or explained it." Copyright Issues. The FTC has not undertaken the task of regulating copyright related practices of copyright owners and content companies. However, in August of 2007, the CCIA filed a complaint with the FTC alleging that certain copyright notices violate Section 5 of the FTC Act. The FTC did not institute an investigation. See, FTC letter [6 pages in PDF], and story titled "CCIA Comments on FTC Letter Regarding Copyright Notices Complaint" in TLJ Daily E-Mail Alert No. 1,723, February 26, 2008. Leibowitz's prior employment by the MPAA may be relevant to the question of whether the FTC under his leadership would delve into Title 17 issues. 2/18. Elisse Walter, a Commissioner of the Securities and Exchange Commission (SEC), gave a speech in New York City in which she discussed the use of information technologies for the dissemination of financial information. Walter (at right), said that the SEC "should enhance shareholder participation, and particularly make information gathering more efficient" through technology. She continued that "the Internet and electronic communications play a vital role in modernizing the disclosure system under the federal securities laws and in promoting transparency, liquidity, and efficiency in our trading markets. The Internet, in particular, has enabled a greater number of retail investors to have ready access to company information." She added that "I am firmly committed to the idea that the Commission should do everything it can to encourage this trend and harness the power provided by technological advances to get the right information to investors, institutional and retail, at the right time." Walter then discussed the SEC's e-proxy rules [PDF]. She said that "Although the Commission back in 2007 attempted to improve the proxy process via e-Proxy, I understand that shareholder participation has in fact dropped significantly. I have heard reports that the percentage of retail shares voted dropped from approximately 34% in the year prior to using ``notice and access´´ to approximately 17% in the year issuers first used ``notice and access.´´"
She said that "This concerns me greatly, and I am very anxious to hear where the numbers are this year. Although I am sympathetic to the potential cost savings for issuers, I think that the Commission should implement changes to improve shareholder participation. At this year's SEC Speaks, my fellow Commissioner Luis Aguilar stated that we need to ``fix e-Proxy or scrap it.´´ I share his sentiments, and would add that my preference is for us to fix e-Proxy." See also, stories titled "SEC Proposes to Allow Internet Delivery of Proxy Materials" in TLJ Daily E-Mail Alert No. 1,263, December 1, 2005; "SEC Adopts E-Proxy Rule Changes" in TLJ Daily E-Mail Alert No. 1,506, December 15, 2006; and "SEC Seeks Comments on Proposal to Mandate Internet Availability of Proxy Materials" in TLJ Daily E-Mail Alert No. 1,529, January 30, 2007. 2/17. The Federal Trade Commission (FTC) announced that it will hold a third set of hearings on "The Evolving Marketplace for Intellectual Property" on March 18 and 19, 2009. See, notice and agenda [PDF]. On both days events start at 9:00 AM. On Wednesday, March 18, at 9:00 - 10:30 AM there will be a panel titled "Universities and Entrepreneurs". At 10:45 AM - 12:15 PM, there will be a panel titled "IT and Electronics Industries". At 1:45 - 3:15 PM, there will be a panel titled "Manufacturing and Diversified Companies". At 3:30 - 5:00 PM, there will be a panel titled "Biotech and Pharmaceutical Industries". On Thursday, March 19, at 9:30 - 11:30 AM, there will be a panel titled "Economic Perspectives on IP and Technology Markets". At 1:00 - 5:15 PM, there will be a panel titled "Fulfilling the Patent System's Public Notice Function". The FTC held the first hearing in this series on December 5, 2008. It held its second set of hearings on February 11 and 12, 2009. The deadline to submit written comments in connection with this third sets of hearings is May 15, 2009. 2/23. President Obama named numerous persons to various media relations positions on his staff. These include Elizabeth Jarvis-Shean (White House Research Director), Daniella Gibbs Leger (Director of Message Events), Joelle Terry (Deputy Director of Message Events), Katherine Lyons (Deputy Director of Message Events), Macon Phillips (Director of New Media), Cammie Croft (Deputy New Media Director), Christina Reynolds (Director of Media Affairs), Dag Vega (Director of Broadcast Media), Amy Brundage (Regional Communications Director), Moira Mack Muntz (Regional Communications Director), Gannet Tseggai (Regional Communications Director), Jason Djang (Deputy Director for Video), Corey Ealons (Director of African American Media and Coordinator of Special Projects), Shin Inouye (Director of Specialty Media), Jesse Lee (Online Programs Director), Luis Miranda (Director of Hispanic Media), Katie Stanton (Director of Citizen Participation), and Samantha Tubman (Assistant Social Secretary). See, White House news office release. 2/23. President Obama announced his intent to nominate Ashton Carter to be Under Secretary of Defense for Acquisition, Technology and Logistics at the Department of Defense. See, White House news office release. He is currently a professor Harvard's Kennedy School of Government. 2/23. President Obama announced his intent to nominate April Boyd to be Assistant Secretary for Legislative and Intergovernmental Affairs at the Department of Commerce (DOC). See, White House news office release. She has previously worked for Rep. Ellen Tauscher (D-CA) and Sen. John Kerry (D-MA). 2/23. President Obama announced his intent to nominate John Morton to be the Assistant Secretary for Immigration and Customs Enforcement (ICE) at the Department of Homeland Security (DHS). See, White House news office release and DHS release. 2/23. 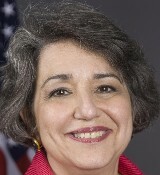 Secretary of Homeland Security Janet Napolitano named Esther Olavarria to be Deputy Assistant Secretary for Policy at the Department of Homeland Security (DHS). See, DHS release. She previously worked at the Center for American Progress (CAP), and for Sen. Ted Kennedy (D-MA). 2/23. Judge Samuel Kent, a Judge of the U.S. District Court (SDTex), pled guilty in U.S. District Court (SDTex) to the criminal charge of obstruction of justice. The Department of Justice (DOJ) stated in a release that he pled guilty "to making false statements to a special investigative committee of the U.S. Court of Appeals for the Fifth Circuit during an investigation of a judicial misconduct complaint filed against him". Previously, the grand jury also returned indictments that charged him abusive sexual contact and aggravated sexual abuse of District Court employees. Kent was appointed to the District Court by the elder President Bush. 2/23. The Federal Communications Commission (FCC) adopted and released an order [3 pages in PDF] that extends the deadline for filing FCC Form 477 from March 2, 2009, to March 16, 2009. This is the FCC's semi-annual form for collection of data on local telephone and broadband internet access lines. This order is DA 09-430 in WC Docket No. 07-38. 2/20. The Federal Communications Commission (FCC) adopted and released a Second Report and Order and Notice of Proposed Rulemaking [45 pages in PDF] in various proceedings related to the government's efforts to plan a transition from analog to digital television. This item is FCC 09-11 in MB Docket No. 09-17, MB Docket No. 07-148, MB Docket No. 07-91, MB Docket No. 08-255, WT Docket No. 06-150, WT Docket No. 06-169, PS Docket No. 06-229, and WT Docket No. 96-86. 2/17. The Department of Justice's (DOJ) Antitrust Division filed with the U.S. District Court (DC) its response [31 pages in PDF] to public comments in US v. Verizon and Alltel. This filing is required by the Tunney Act. This case pertains to the merger of Verizon and Alltel. It is D.C. No. 1:08-CV-01878 (EGS). The House will meet at 10:30 AM for morning hour, and at 12:00 NOON for legislative business. It will consider several non-technology related items under suspension of the rules. At about 9:00 PM President Obama will give a speech to a joint session of the House and Senate. See, Rep. Hoyer's schedule for week of February 23, and schedule for February 24. The Senate will will meet at 10:00 AM. It will resume consideration of S 160 [LOC | WW], a bill to provide the District of Columbia a seat in the House. SOLD OUT. 9:00 AM - 5:00 PM. The Federal Communications Bar Association (FCBA) will host an event titled "The Communications Act and the FCC at 75 Seminar". Prices vary. See, registration page. Location: Wiley Rein, 1776 K St., NW. 10:00 AM. The House Commerce Committee's (HCC) Subcommittee on Communications, Technology, and the Internet will hold a hearing titled "Reauthorization of the Satellite Home Viewer Extension and Reauthorization Act". The witnesses will be Derek Chang (DirecTV), Thomas Cullen (Dish Network), Martin Franks (CBS), Willard Rowland (Colorado Public Television), James Yager (Barrington Broadcasting Group), Gigi Sohn (Public Knowledge), and Kenneth Ferree (Progress & Freedom Foundation). The HCC will webcast this hearing. See, notice. Location: Room 2123, Rayburn Building. 10:00 AM. The Senate Banking Committee (SBC) will hold a hearing to receive the Federal Reserve Board's (FRB) Semiannual Monetary Policy Report to the Congress. The witness will be Ben Bernanke, FRB Chairman. See, notice. Location: Room 216, Hart Building. 11:00 AM. The Supreme Court will hear oral argument in Carlsbad Technology v. HIF Bio, Sup. Ct. No. 07-1437, a petition for writ of certiorari to the U.S. Court of Appeals (FedCir), App. Ct. No. 2006-1522. See, Supreme Court docket and question presented. Location: Supreme Court, 1 First St., NW. 12:00 NOON - 2:00 PM. The DC Bar Association and the DC Chapter of the Copyright Society will host a closed event titled "The Copyright Office Speaks". The speaker will be Marybeth Peters, Register of Copyright. See, notice. Prices vary from $55 to $65. For more information, call 202-626-3488. Location: City Club of Washington, 1300 I St., NW. 12:30 - 2:30 PM. The Property Rights Alliance will hold an event to release and discuss a report titled "2009 International Property Rights Index". The speakers will include Patrick Ross ( Copyright Alliance). See, notice. RSVP to kzahourek at propertyrightsalliance dot org. Location: 13th floor, National Press Club, 529 14th St., NW. 2:00 PM. The House Rules Committee (HRC) will meet to adopt a rule for consideration of HR 1105 [LOC | WW], the "Omnibus Appropriations Act, 2009". Location: Room 313, Capitol Building. 2:30 PM. The Senate Judiciary Committee's (SJC) Subcommittee on Antitrust, Competition Policy and Consumer Rights will hold a hearing titled "The Ticketmaster/Live Nation Merger: What Does it Mean for Consumers and the Future of the Concert Business?". The SJC will webcast this event. See, notice. Location: Room 226, Dirksen Building. 6:00 - 7:00 PM. The DC Bar Association will host an event titled "Kauffman Foundation Distinguished Lecture in Antitrust, Entrepreneurship & Innovation". See, notice. For more information, call Jennifer Dabson at 202-274-4077. Location: American University law school, 6th floor, 4801 Massachusetts Ave., NW. The House will meet at 10:00 AM for legislative business. See, Rep. Hoyer's schedule for week of February 23. 8:30 AM. The Software and Information Industry Association (SIIA) will host a one day event titled "SaaS/GOV 2009". Among the topics to be covered are use of cloud computing for federal agencies. See, conference web site. Prices vary. Location: Willard Intercontinental. 9:00 - 10:30 AM. The Information Technology and Innovation Foundation (ITIF) will host an event to release a report titled "The Atlantic Century: Benchmarking U.S. and EU Innovation and Competitiveness". This report report ranks 36 countries, the NAFTA region, and the EU-15, EU-10, and EU-25 areas, on 16 indicators of the extent to which their economies are able to compete based on innovation. The speakers will be Robert Atkinson (ITIF), Charles Vest (President of the National Academy of Engineering), John Kao, and Vivek Wadhwa. Kao is also the author of the 2007 book [Amazon] titled "Innovation Nation: How America Is Losing Its Innovation Edge, Why It Matters, and What We Can Do to Get It Back". See, registration page. Location: Suite 700, McPherson Building, 901 15th St., NW. 9:00 AM - 12:15 PM. The The Federal Communications Commission's (FCC) Public Safety and Homeland Security Bureau (PSHSB) will host an event titled "Summit on Deployment and Operational Guidelines for Next Generation IP-Enabled 911 and Enhanced 911 Services". See, notice and agenda [3 pages in PDF]. Location: FCC, Commission Meeting Room (TW-C305). 10:00 AM. The House Homeland Security Committee (HHSC) will hold a hearing titled "DHS: the Path Forward". The witness will Janet Napolitano, Secretary of Homeland Security. The HHSC will webcast this hearing. Location: Room 311, Rayburn Building. 10:00 AM. The House Judiciary Committee (HJC) will hold a hearing titled "Copyright Licensing in a Digital Age: Competition, Compensation and the Need to Update the Cable and Satellite TV Licenses". See, notice. The HJC will webcast this hearing. Location: Room 2141, Rayburn Building. 10:00 AM. The House Science Committee (HSC) will hold a hearing titled "Impacts of U.S. Export Control Policies on Science and Technology Activities and Competitiveness". See, notice. Location: Room 2318, Rayburn Building. 10:00 AM. The Senate Judiciary Committee (SJC) will hold a hearing titled "Ensuring Television Carriage in the Digital Age". See, notice. The SJC will webcast this event. Location: Room 226, Dirksen Building. 11:00 AM - 12:30 PM. The Heritage Foundation will host a panel discussion titled "Ending 'Libel Tourism:' Federal Action Needed". The speakers will be Rachel Ehrenfeld, Andrew McCarthy, Andrew Grossman, and Robert Alt. See, notice. Location: Heritage, 214 Massachusetts Ave., NE. 2:00 PM. The House Judiciary Committee (HJC) will meet to mark up several bills, including HR 1110 [LOC | WW], the "Preventing Harassment through Outbound Number Enforcement Act of 2009" or "PHONE Act", and HR 628 [LOC | WW], a bill to establish a pilot program in certain U.S. District Courts to encourage enhancement of judicial expertise in patent cases. The HJC will webcast this event. Location: Room 2141, Rayburn Building. 2:00 PM. The Senate Judiciary Committee (SJC) will hold a hearing on the nominations of Dawn Johnsen to be Assistant Attorney General in charge of the Office of Legal Counsel (OLC), and David Kris to be Assistant Attorney General in charge of the National Security Division (NSD). The SJC will webcast this event. See, notice. Location: Room 226, Dirksen Building. 6:00 - 8:30 PM. The Federal Communications Bar Association's (FCBA) Young Lawyers Committee will host an event titled "Happy Hour". For more information, contact Neil Chilson at nchilson at wbklaw dot com. Location: Beacon Bar and Grill, 1615 Rhode Island Ave., NW. Deadline to submit requests to testify orally at the Office of the U.S. Trade Representative's (OUSTR) March 4, 2009, hearing regarding its plans to initiate negotiations on a Trans-Pacific Partnership free trade agreement with Singapore, Chile, New Zealand, Brunei Darussalam, Australia, Peru and Vietnam. See, notice in the Federal Register, January 26, 2009, Vol. 74, No. 15, at Pages 4480-4482. 9:15 AM - 4:00 PM. The Free State Foundation will host a one day conference titled "New Directions in Communications Policy". The keynote speaker will be Rep. Marsha Blackburn (R-TN). There will be panels on broadband policy and net neutrality, universal service and intercarrier compensation issues, and media regulatory policy. The speakers will include Michael Powell, Deborah Tate, Richard Wiley, Robert Atkinson (ITIF), Steve Davis (Qwest), Gerald Brock (George Washington University), Jeff Campbell (Cisco), Jim Cicconi (AT&T), Robert Crandall (Brookings Institution), Diane Disney (Pennsylvania State University), James Gattuso (Heritage Foundation), Ellen Goodman (Rutgers School of Law), John Mayo (Georgetown University), Kyle McSlarrow (NCTA), Glen Robinson (University of Virginia Law School), Jim Speta (Northwestern University School of Law), Tom Sugrue (T-Mobile), Tom Tauke (Verizon), Joe Waz (Comcast), Steven Wildman (Michigan State University), and Christopher Yoo (University of Pennsylvania Law School). This event is free. RSVP to Susan Reichbart at sreichbart at freestatefoundation dot org. Location: National Press Club, 13th Floor, 529 14th St. NW. 10:00 AM. The House Judiciary Committee's (HJC) Subcommittee on Courts and Competition Policy will hold a hearing titled "Competition in the Ticketing and Promotion Industry". See, notice. The HJC will webcast this hearing. Location: Room 2141, Rayburn Building. 10:00 AM. The House Science Committee (HSC) will hold a hearing titled "Beyond the Classroom: Informal STEM Education". See, notice. Location: Room 2318, Rayburn Building. 10:00 AM. The Senate Judiciary Committee (SJC) will hold an executive business meeting. The agenda includes consideration of the nominations of David Ogden to be Deputy Attorney General, Thomas Perrelli to be Associate Attorney General, and Elena Kagan to be Solicitor General. The SJC will webcast this event. See, notice. The SJC will webcast this event. Location: Room 226, Dirksen Building. Deadline to submit written comments to the U.S. Patent and Trademark Office (USPTO) regarding whether or not to adopt some form of deferred examination for patent applications. See, notice in the Federal Register, January 28, 2009, Vol. 74, No. 17, at Pages 4946-4947. Rep. Hoyer's schedule for week of February 23 states that no votes are expected in the House. FULL. 12:15 - 1:30 PM. The Federal Communications Bar Association's (FCBA) Legislative, Wireless and Wireline Committees will host a brown bag lunch titled "Broadband and the Economy: What should be the role of Broadband in Stimulating U.S. Economic Recovery". Location: USTelecom, Suite 400, 607 14th St., NW. Deadline to submit reply comments to the Federal Communications Commission (FCC) in response to its notice of proposed rulemaking (NPRM) regarding application of the closed captioning rules to digital broadcasting, specifically to broadcasters that choose to use their digital allotment to multicast several streams of programming. The FCC adopted this item on November 3, 2008, and released the text [57 pages in PDF] on November 7, 2008. It is FCC 08-255 in CG Docket No. 05-231. See, notice in the Federal Register, January 13, 2009, Vol. 74, No. 8, at Pages 1654-1661. Deadline to submit initial comments to the Federal Communications Commission (FCC) to assist it in preparing a report to the Congress on the status of competition in markets for the delivery of video programming. The FCC engaged in the legal fiction of adopting a Notice of Inquiry (NOI) on November 27, 2007. It did not release the text [41 pages in PDF] of a NOI until January 16, 2009. It is FCC 07-207 in MB Docket 07-269. This NOI requests comments regarding "changes in the marketplace between 2006 and 2007". See, notice in the Federal Register, February 11, 2009, Volume 74, No. 27, at Pages 6875-6882. 5:00 PM. Deadline to submit comments to the National Institute of Standards and Technology's (NIST) Computer Security Division regarding its draft [149 pages in PDF] of Special Publication 800-85A-1, titled "PIV Card Application and Middleware Interface Test Guidelines". 10:00 - 11:30 AM. The Interactive Advertising Bureau (IAB) will host an event titled "Political Online Advertising in the 2008 Election: Politics Will Never Be the Same Again". See, notice and registration page. Location: Venable, 575 7th St., NW. 10:00 AM. Deadline for foreign governments to submit comments to the Office of the U.S. Trade Representative (OUSTR) regarding countries that deny adequate and effective protection of intellectual property rights or deny fair and equitable market access to U.S. persons who rely on intellectual property protection. These comments assist the OUSTR in fulfilling its obligations under Section 182 of the Trade Act Act of 1974. See, notice in the Federal Register, January 23, 2009, Vol. 74, No. 14, Page 4263-4264. Deadline to submit comments to the Federal Communications Commission (FCC) regarding possible revision or elimination of rules under the Regulatory Flexibility Act. See, notice in the Federal Register, December 30, 2008, Vol. 73, No. 250, at Pages 79667-79683. EXTENDED TO MARCH 16. Deadline to submit FCC Form 477 to the Federal Communications Commission (FCC). This is the FCC semi-annual form for collection of data on local telephone and broadband internet access lines. See also, February 12, 2009, Public Notice [2 pages in PDF]. See, February 23, 2009, order [3 pages in PDF]. 9:00 AM - 5:15 PM. Day one of a two day meeting of the Department of Energy's (DOE) Advanced Scientific Computing Advisory Committee (ASCAC) will meet. The agenda for March 3 includes "View from Washington", "ASCR Update", "Changes to INCITE Program", "Update on Extreme Scale Science Workshops", "Cyber Security R&D Planning", "Realizing Petascale Computing", "ESnet Update", "ASCAC Subcommittee Updates", and "Public Comment". See, notice in the Federal Register, February 10, 2009, Vol. 74, No. 26, at Page 6608. Location: American Geophysical Union (AGU), 2000 Florida Ave., NW.